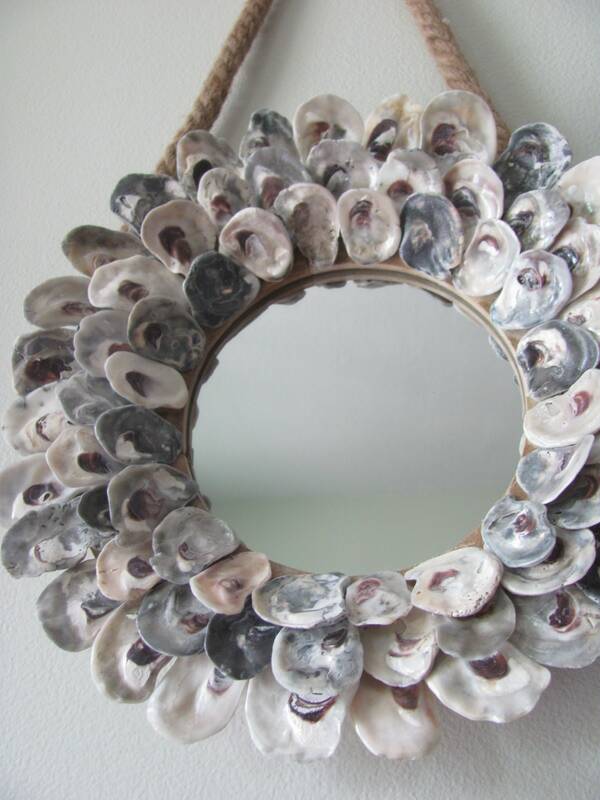 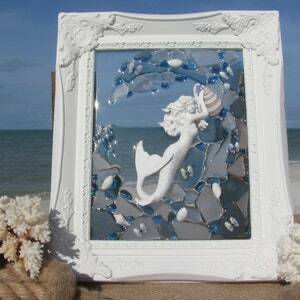 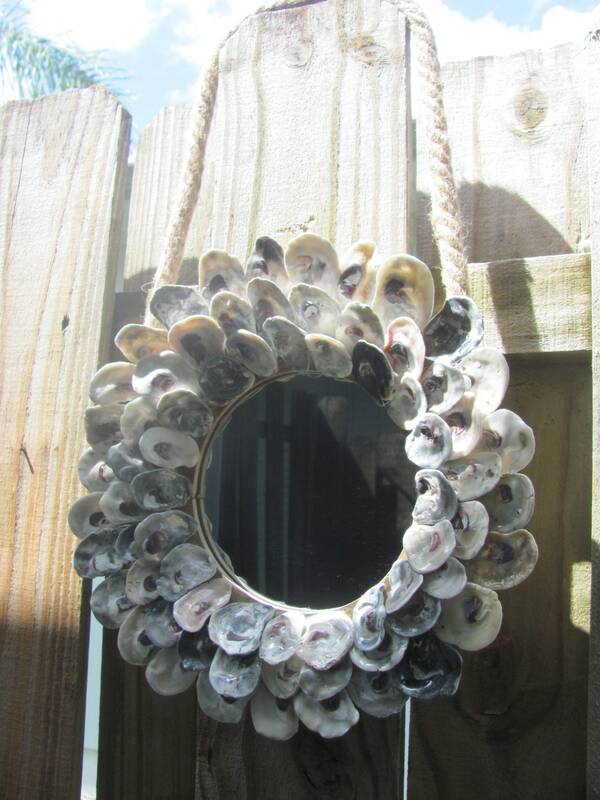 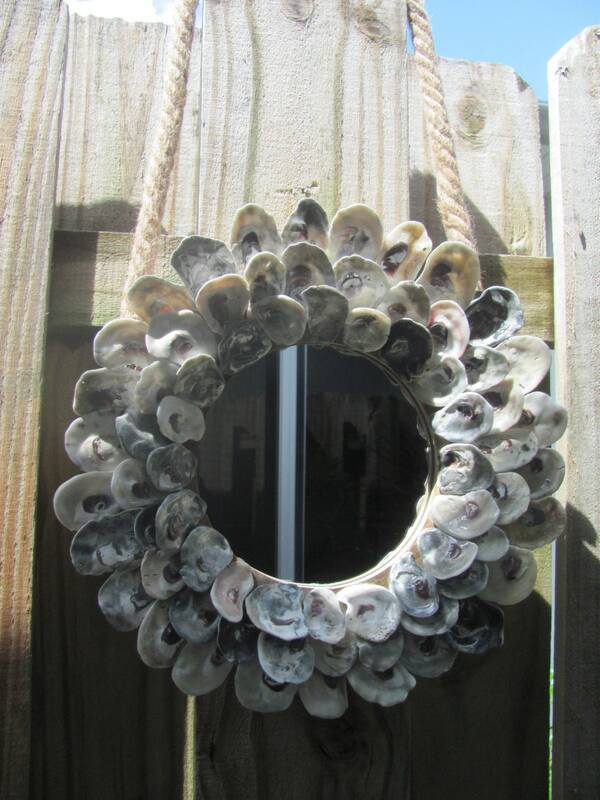 Round oyster shell mirror beautifully adored with over 70 gulf coast oyster shells! 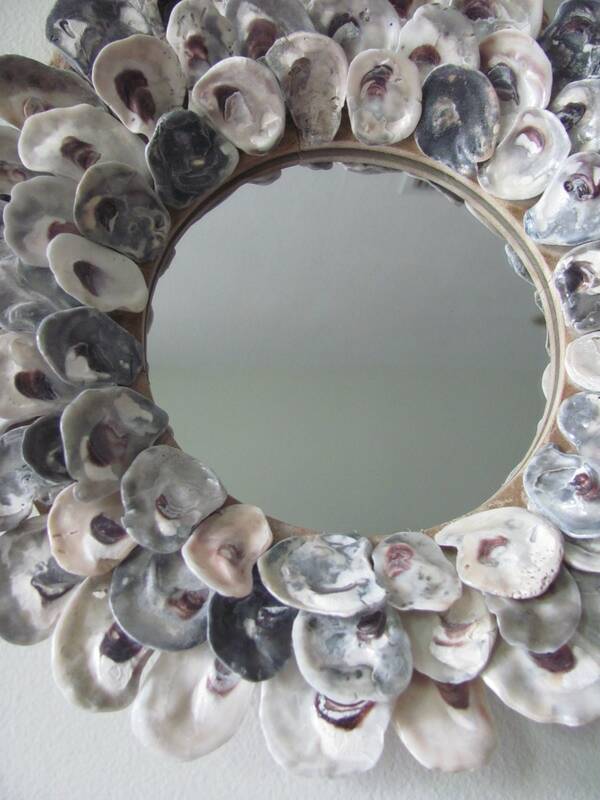 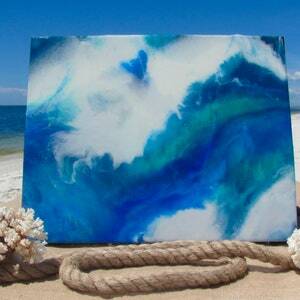 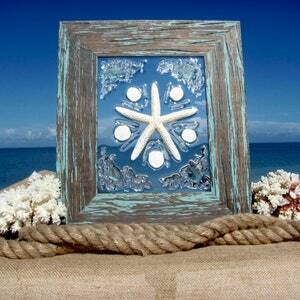 Bring a coastal feel to any area of your home with the subtle beauty of this gorgeous shell mirror. 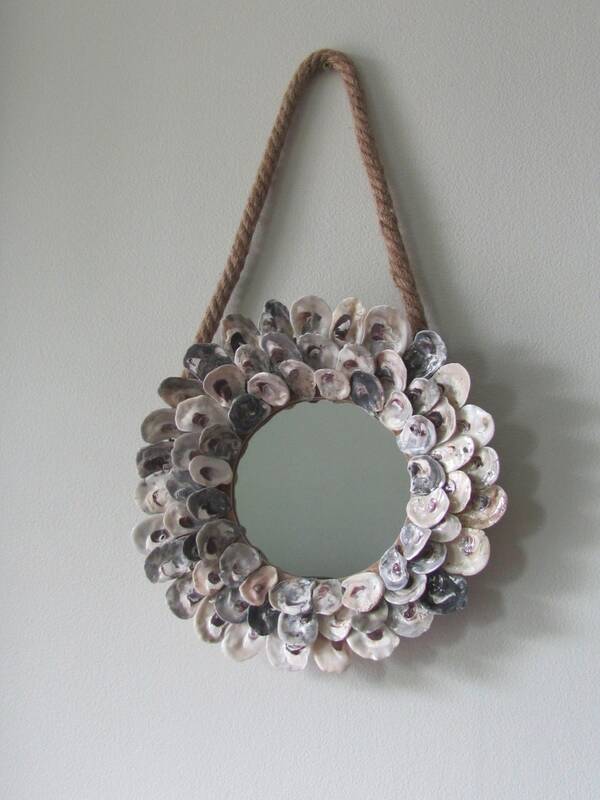 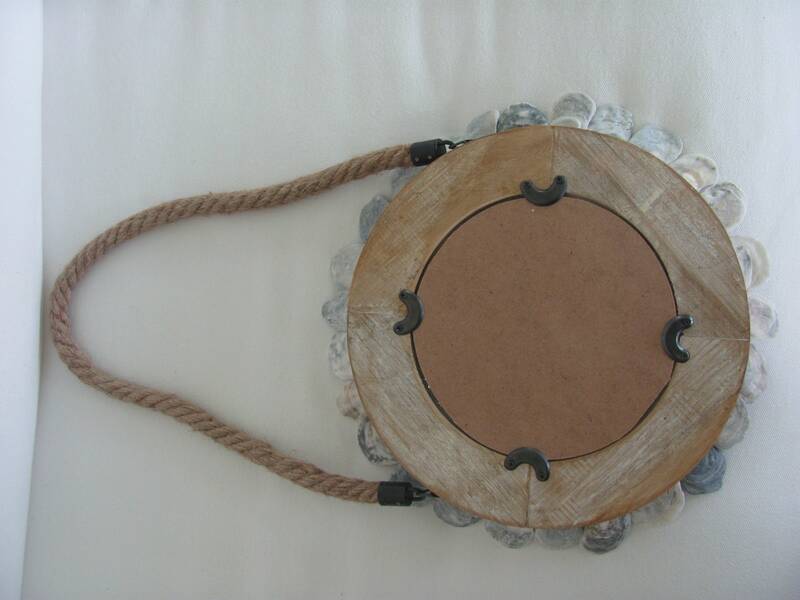 The mirror is made of wood and has a nautical rope attached for hanging. 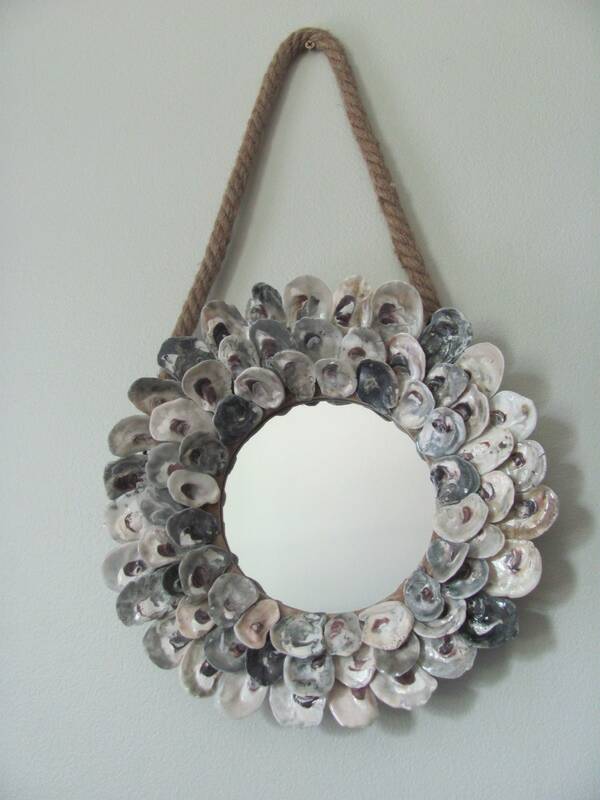 The outer dimensions are approximately 12", the inner dimension of the mirror portion is 6", and from the top of the rope to the bottom of the mirror measures 20". 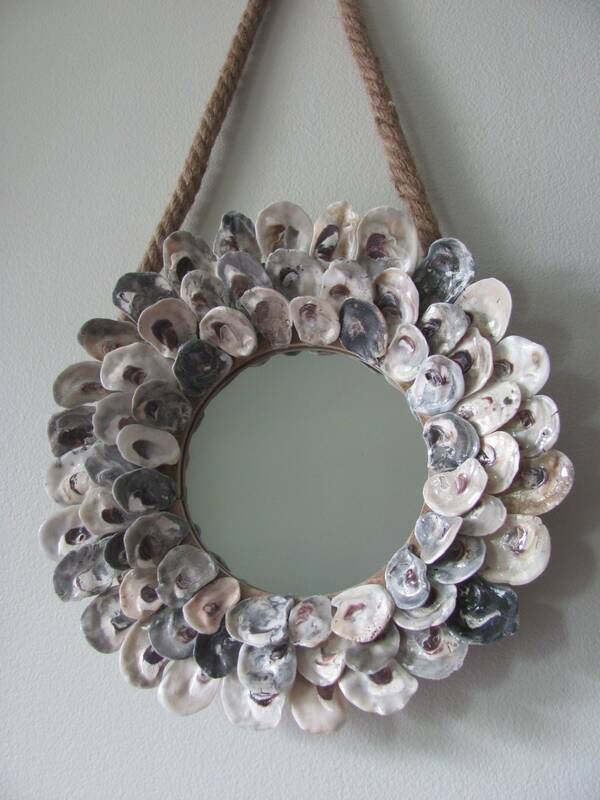 Bring a touch of the beach into your space with this well made, attention to detail, and unique mirror of beautiful oyster shells! 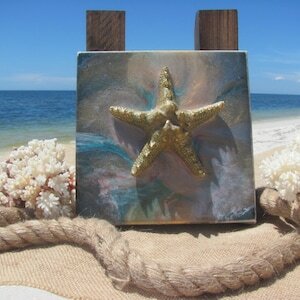 Packed with the greatest care!